Click on a desired item to view that section of the report, or simply scroll down. Over 400 atomic bombs were exploded in the atmosphere in the period 1945-1963. Most were tested by the United States and the Soviet Union, before large-scale testing ended with the Partial Test Ban Treaty signed by President John F. Kennedy in 1963. Although U.S. bomb tests took place in the Nevada desert and the Pacific, radioactive fallout spread across the U.S. Scientific studies documented the steady rise in the environment (food and water) and in bodies (bones and baby teeth) until testing ended. Even though large-scale testing ceased nearly 50 years ago, few studies have estimated cancer risk to Americans from exposure to fallout. Several years ago, officials at Washington University in St. Louis discovered 85,000 baby teeth in storage. These teeth, not used in a 1960s study of radioactive Strontium-90 (Sr-90) in bomb fallout, were in envelopes attached to cards identifying the tooth and the donor. The University donated the teeth to the Radiation and Public Health Project (RPHP), a research group conducting a study of Sr-90 in teeth near nuclear reactors. RPHP selected the case-control method to assess cancer risk using a sample of the 85,000 teeth. The study compared male tooth donors, born January 1959 to June 1961 in the St. Louis area, with and without cancer by age 50. Through a health survey and a search of Missouri death records, RPHP identified 97 teeth of persons with cancer (“cases”), and selected 194 teeth of healthy donors the same age (“controls”). Of the 97 “cases,” 20 were from persons who died of cancer by their late 40s. In 2002, the U.S. government estimated that 15,000 Americans will die of cancer from fallout. This projection is much lower than a 2003 European Committee on Radiation Risk estimate of 61,600,000 cancer deaths worldwide. As about 20 million of the 79 million Americans born in the 1950s and 1960s are expected to die of cancer in their lifetime, tooth study results suggest the number of 15,000 cancer deaths from fallout is low, and that the true number may be hundreds of thousands, or even millions. The findings suggest that further studies be conducted, especially on female tooth donors, who suffer from certain radiosensitive cancers (thyroid, breast) at rates much higher than males. Results should be used in evaluating current and future policies that involve exposure to radioactive chemicals, such as those released by nuclear reactors, and provide a rationale for enacting the Comprehensive Test Ban Treaty. In the period 1945-1963, the United States and the Soviet Union engaged in a nuclear arms race. The two nations exploded over 400 atomic bombs into the atmosphere, the yield of which was equal to 40,000 Hiroshima bombs. In the United States, 100 of these tests occurred at the Nevada Test Site, 70 miles northwest of Las Vegas. The site was chosen by the Truman administration in 1950 as the Cold War intensified. Truman’s military advisers believed the original test site in the Marshall Islands in the South Pacific was inefficient, and that a location in the continental U.S. was necessary. The immense blasts over the Nevada desert contained over 100 radioactive chemicals not found in nature. These chemicals, which are tiny metal particles and gases, were propelled high into the stratosphere, and moved with prevailing winds – generally to the east. It took roughly 2-3 days for fallout to move across the continental U.S. Precipitation returned the fallout to the environment, where it entered the food chain, including municipal water supplies, grazing areas for milk-producing cows and goats, fruit orchards, vegetable farms, and other forms of food. Americans routinely ingested these chemicals as part of their diet. Levels of these radioactive chemicals in the environment were tracked by U.S. government officials. Beginning in 1957, the U.S. Public Health Service took monthly measurements in the air, water, and milk of five locations. The program expanded to nine sites in 1958 and 60 sites in 1960. Radioactivity in each of the 100-plus chemicals decays at varying rates. For example, the half-life (the time it takes for half of the radioactivity to disappear) is 8 days for Iodine-131 and 28.7 years for Strontium-90. Environmental measurements showed that certain areas – typically those that had high precipitation levels and that were in the path of prevailing winds from Nevada – were particularly hard hit by fallout. Scientists became interested in measuring fallout levels, not just in the environment but in the human body. The first such studies began back in 1953, when Columbia University researchers working for the U.S. government began measuring Strontium-90 (Sr-90) levels in bones of humans who had died. Strontium is a bone-seeking, calcium-like element; after it is consumed in food and water, it quickly enters the stomach, moves to the blood stream, and attaches to bone and teeth, where it harms and kills cells. Sr-90 in bone penetrates into the bone marrow. Even among radioactive chemicals, Sr-90 is especially toxic, as the bone marrow is the site where the red and white blood cells critical to the immune response are formed. In 1958, Dr. Herman Kalckar of the National Institutes of Health wrote an article in the journal Nature, proposing that scientists around the world begin measuring concentrations of Sr-90 in baby teeth. The idea was quickly adopted by scientists at Washington University in St. Louis, who joined with a citizens group called the Committee for Nuclear Information. For the next 12 years, with the help of federal grants, this scientist-citizen partnership collected approximately 320,000 baby teeth, and tested them for Sr-90. As testing went on, average Sr-90 levels increased rapidly; St. Louis children born in 1964 had about 50 times more Sr-90 in their baby teeth than those born in 1950, before the start of testing in Nevada. Although government officials offered repeated assurances that doses from fallout were too small to be harmful, many Americans feared that bomb testing was harming health. In particular, effects of radiation exposure to the fetus, infant, and child were known to be much more severe than to adults. The young have undeveloped immune systems, making them less able to fight off invading toxins. In addition, cells in the fast-growing fetus and infant divide much more rapidly than those in adults. If a fetal or infant cell harmed by fallout becomes cancerous, it will multiply at a much greater rate than a cancerous cell in an adult. . . .the number of children and grandchildren with cancer in their bones, with leukemia in their blood, or with poison in their lungs might seem statistically small to some, in comparison with natural health hazards. But this is not a natural health hazard – and it is not a statistical issue. The loss of even one human life, or the malformation of even one baby – who may be born long after we are gone – should be of concern to us all. The issue of health risk from exposure to bomb fallout was always politically charged. While many Americans believed that fallout had raised cancer rates, government officials insisted that no such risk existed. Scientists – who feared government reprisals during the Cold War – published no journal articles until after the Test Ban Treaty was passed. Evidence of high cancer rates among highly exposed populations in Nevada and Utah was suppressed by the U.S. Atomic Energy Commission. It wasn’t until many years later, with the Cold War over, that the first large-scale study of cancer risk from bomb fallout was published. Congress mandated that the U.S. National Cancer Institute conduct the study, but the Institute took 15 years to produce it. In 1997, the report was finally released, and it concluded that Iodine-131 from tests, consumed in milk, caused from 11,000 to 212,000 Americans to develop thyroid cancer. A 2002 unreleased report by the U.S. Centers for Disease Control and Prevention estimated that 35,000 U.S. cancer cases (15,000 fatal) were caused by bomb fallout. Projections of worldwide casualties from fallout suggest that the U.S. figures are highly underestimated. In 1996, the International Commission on Radiation Protection projected that 2,350,000 cancer cases would occur from fallout, half of them fatal. In 2003, the European Committee on Radiation Risk (formed by a panel of the European Parliament) issued a report stating that risk had been highly understated. Their estimates of 123,200,000 cancer cases (half of them fatal), 1,600,000 infant deaths, and 1,900,000 fetal deaths from fallout far exceeded any prior projections. With such a wide discrepancy in estimates, the issue of calculating cancer risk to Americans from fallout still remains largely unresolved, more than half a century after testing began. The study conducted by Washington University and the Committee for Nuclear Information in St. Louis was a landmark in U.S. scientific annals. Never before had scientists and citizens collaborated in such a large-scale research project. The tooth study had several uses. Results were presented in 1963 testimony to the U.S. Senate in support of the Partial Test Ban Treaty. It inspired scientists in several other European nations to conduct similar (but smaller-scale) studies. Finally, in several scientific journal articles, it established that slow-decaying fallout levels in bodies of Americans rose 50-fold from 1950-1964 as tests continued, and fell by 50% from 1964-1969 after above-ground bomb testing ended. The St. Louis tooth study concluded in 1970 without addressing health risks posed by bomb fallout. But in 2001, Washington University officials made an unexpected discovery. At storage facilities owned by the school at Tyson Valley, a World War II gunnery range 20 miles from downtown St. Louis, about 250 long boxes were found. In them were 85,000 baby teeth not used in the study (those that were used were crushed into a powder and dissolved in liquid). Washington University donated the teeth to the Radiation and Public Health Project (RPHP), a non-profit research group based in New York City. RPHP was conducting a study of Sr-90 in baby teeth near U.S. nuclear reactors. The group based its work on the St. Louis model 1960s, and had consulted with scientists from Washington University. The press responded enthusiastically to the discovery of the 85,000 teeth. The St. Louis Post-Dispatch ran three page-one articles. Major media, including USA Today, National Public Radio, the Washington Post, the San Francisco Chronicle, and the Los Angeles Times, covered the story. Moreover, 2200 St. Louis tooth donors or their parents sent emails or letters, asking if they could participate in the study. Nearly 100 were from people who reported that they or a “Baby Boomer” in their family suffered from cancer early in life. Their message was uniform: cancer is a terrible scourge to society, we need to do much more to prevent the disease, and the baby tooth study is one tool leading to better prevention strategies. Find Addresses. RPHP attempted to locate a sample of tooth donors at their current addresses, and inquired if they would participate in a health survey. Using an internet search firm, addresses for about 80% of male tooth donors were found (fewer for females, many of whom change names when married). Mail Health Surveys. RPHP prepared a health survey, and mailed it to 100 tooth donors to determine if an adequate number would be returned. Over one third (35%) of the surveys were completed and returned by tooth donors, and only few surveys were returned because the address was incorrect. Test Teeth. RPHP investigated if bomb fallout could still be detected in teeth. Because Strontium-90 has a half life of 28.7 years, about one–third of the original Sr-90 is still present in teeth. A sample of 100 teeth was sent to the radiochemistry lab at the University of Waterloo, in Ontario Canada, which had been working with RPHP on its study of baby teeth. The lab was able to detect Sr-90 in the large majority of baby teeth. Ensure Death Records Are Kept. RPHP discovered that the Missouri Department of Health and Social Services maintains death records for all persons dying in the state since 1979. Thus, a “match” could be made using the person’s name and birth date. The Department estimated that most deceased tooth donors had died in Missouri. Of young children alive in the 1960s, about 7% of males and 3% of females are now deceased. The ability to locate tooth donors, receive responses to health surveys, identify deceased tooth donors in the death registry, and accurately detect Strontium-90 in baby teeth meant that RPHP could proceed with the study. RPHP decided to conduct a case-control study, a commonly used method in health research. This type of study compares cases (persons with a disease) and controls (persons without a disease). The disease selected by RPHP was cancer, and average levels of Strontium-90 in teeth would be compared for cases and controls. RPHP searched the medical literature for case-control studies using in-body radiation levels. There are only three known studies, published in 1963, 1965, and 1968. Each compared Sr-90 levels in bones of deceased persons with and without cancer. Because only three studies exist, conducted many years ago using small sample sizes, results were inconclusive. Thus, RPHP was embarking on an essentially untested area of research. RPHP set a goal of identifying 100 tooth donors who had been diagnosed with cancer by age 50. These would include cancer survivors and those who had died. Sr-90 levels would be measured in the 100 teeth, and be compared with Sr-90 in 200 teeth from donors without cancer. Persons born January 1, 1959 to June 30, 1961, during a bomb test halt by the U.S. and the Soviet Union, when no short term fallout was present in the environment. These restrictions assure a “homogenous” sample. This means that factors that might skew Sr-90 levels, such as a high/low percent of breast-fed children or a high/low percent of molars, will not affect study results. A total of 6340 teeth met the study criteria. These teeth represented 3900 tooth donors, as some gave more than one tooth. RPHP created a spreadsheet file using information from the 3 x 5 cards. Three-fourths of the teeth were marked on the original cards as incisors, while there was no indication of the type of tooth for the others. However, because these teeth were shed at age 6-9, it is very likely they are incisors, as cuspids and molars are shed at a later age. RPHP identified current addresses of tooth donors using two methods. First, it found persons on official voter registration rolls in Missouri and Illinois by matching the donor name and exact date of birth. A total of 2240 addresses were found using this method. Second, a manual search of the internet white pages for tooth donors with no address and uncommon names. Addresses were recorded if there was one person in the U.S. aged 45-49 that matched the name. A total of 463 addresses were found, for a total of 2703 addresses, or 69.3% of the 3900 donors. In addition, the voter rolls were examined for current addresses for parents of tooth donors with no current address. A total of 648 parent addresses were identified. RPHP asked Missouri officials who maintain an index of all deaths in the state since 1979 to search for those 1197 tooth donors for which no current address could be located. After the Missouri Health Department Institutional Review Board granted permission for the search to be held, officials identified 84 deceased persons who matched the name and date of birth provided by RPHP from the cards in the original study, and provided RPHP with the date and cause of death. On March 10, 2009, RPHP also mailed 247 health surveys to a sample of the 648 parents of tooth donors with no current address. Parents selected were those with relatively uncommon names, making it more likely that this was the actual parent, not someone else with the same name. They were asked the same questions as donors. The following table summarizes how RPHP selected the study sample. There were 986 surveys returned (876 from donors, 110 from parents), or 33.4% of the total of 2950 mailed (2703 to tooth donors and 247 to parents). The total included 65 tooth donors with cancer; 51 of these have malignant cancer and 14 have non-malignant neoplasms or pre-cancerous polyps or tumors (see below for complete totals). The Death Index of the Missouri Department of Health and Social Services identified 84 of the 1197 tooth donors with no current address as having died in Missouri from 1979-2007. Of these 84, 12 had died of some form of cancer. These 12 donors were selected for study, making a total of 77 tooth donors with cancer (along with the 65 cancer survivors). The 77 tooth donors with cancer donated a total of 122 baby teeth. Of these 122 teeth, RPHP selected 97 for study, eliminating those who lived outside the greater St. Louis metropolitan area and those for whom a matched control could not be identified. RPHP found 194 healthy teeth, or “controls,” or two teeth matched for each cancer tooth, or “cases.” Controls donated incisors; were born within one month of the matched case; were born and lived as children in the greater St. Louis area; and were not breast fed at all or less than three months. The controls had also indicated they never had been diagnosed with cancer or any significant chronic health condition. The 97 “cancer teeth” were divided into the 20 teeth from donors who had died of cancer, and the 77 teeth from donors who are living with the disease (50 from those with skin cancer or non-malignant neoplasms or polyps). RPHP contracted with the radiochemistry lab from the Department of Earth and Environmental Sciences at the University of Waterloo in Ontario, Canada, to conduct the tooth testing. The lab, headed by Dr. Robert Drimmie, is an experienced organization with expertise in testing matter for levels of radioactivity. RPHP had worked with the lab from 1998 to 2006 in its study measuring Strontium-90 in nearly 5,000 baby teeth of Americans near nuclear reactors. Results were published in five medical journal articles. To measure Sr-90 in teeth, the University used the Perkin-Elmer 1220-003 Quantulus Ultra Low-Level Liquid Scintillation Spectrometer, the same machine used in the earlier RPHP study. This model is designed to detect relatively low levels of radioactivity with maximum precision. To test the lab’s ability to accurately measure Sr-90, RPHP sent 40 St. Louis baby teeth not selected for the cancer study, in four batches of 10 teeth. Three batches contained incisors (persons born 1956, 1963, 1964), and the other of molars (persons born 1956). RPHP knew the expected outcomes from articles published by Washington University in the 1960s. Specifically, levels of Sr-90 in incisors for persons born 1964 would be the highest, with 1963 levels about 30% lower, and 1956 levels about 80% lower. Molars for persons born in 1956 were about 35% greater than 1956 incisors. RPHP “blinded” the lab i.e., told the lab nothing about each batch of teeth, so results wouldn’t be biased. Notes: All results are given in picocuries of Strontium-90 per gram of calcium. St. Louis results are from Rosenthal HL, Accumulation of Environmental 90-Sr in Teeth of Children. Proceedings of the 1969 Hanford Radiobiological Symposium, Richland WA, May 5-8, 1969. Measurements between the two studies should not match, since over half of the original Sr-90 had decayed by 2009, and since there are differences in accuracy of counters and techniques of two studies. RPHP thus began the study comparing Sr-90 in cancer and healthy teeth with a high degree of confidence that results would be accurate. In early July 2009, the Waterloo lab measured Sr-90 for the 97 “cancer” teeth and 194 “healthy” teeth. The teeth were divided into 20 batches, varying in number from 5 to 26. The teeth of donors with cancer were split into distinct batches of persons who died from cancer (2 batches) and those who are cancer survivors (8 batches). Again, the lab performed the analysis “blinded” (knew nothing about each sample) to prevent any bias in study conduct or results. Results of testing show a somewhat lower, statistically insignificant Sr-90 level for cancer survivors. But the average Sr-90 concentration in teeth of persons who died of cancer was 122% greater, or more than twice the level for healthy persons the same age. The 122% excess was statistically significant at p<.04. The study can be used to address the extent of increased risk of dying from cancer for U.S. “Baby Boomers”, or persons born during the period of above-ground atomic bomb testing. There are precedents for such an estimate. The 1997 National Cancer Institute study of radioactive Iodine-131 from bomb fallout estimated that 11,300 to 212,000 Americans developed thyroid cancer from fallout. The U.S. Department of Health and Human Services estimated 35,000 U.S. cancer cases (15,000 fatal) from fallout. But these estimates are far below the worldwide estimate of 123,000,000 cancers (61,600,000) made in 2003 by the European Committee on Radiation Risk. The average Strontium-90 level in bodies of persons dying from cancer is 122% greater than in healthy persons nationwide (not just in St. Louis). Sr-90 (with a half life of 28.7 years) accurately represents all forms of bomb fallout that decay slowly. Some of these chemicals include Cesium-137 (30 years), Plutonium-239 (24,400 years), and Iodine-129 (16,000,000 years). Fast-decaying chemicals in fallout also caused harm, but their impact on health cannot be calculated from this study. Those Americans most affected by bomb test fallout are the 79.4 million born from 1950 to 1969. Large-scale testing began in 1951. Even though such tests were banned by the 1963 Treaty as fallout levels peaked, it took at least a decade for in body fallout to return to pre-test levels. Of the 79.4 million U.S. births from 1950-1969, 2.0 million died in the first year of life. Since then, another 5% died (or will die) during childhood and young adulthood (3.8 million by age 50). About 73.6 million Americans born in the U.S. in these years are still living. Persons born 1959-1961 received an average dose of Strontium-90 (and thus, all long lived radionuclides) for Americans born in the 1950s and 1960s. The average picocuries of Sr-90 per gram calcium in baby teeth for 1959, 1960, and 1961 births was 5.96 (8.26, 4.81, and 4.81), which is roughly similar to the average for the other 17 birth years (5.29). See Appendix 1. Doses of Sr-90 in St. Louis are equal to the average dose to U.S. citizens, based on historical data on Sr-90 in St. Louis pasteurized milk vs. 60 U.S. sites, and on historical data from the St. Louis tooth study. The 100% excess Sr-90 levels for U.S. males dying of cancer are also consistent for U.S. females. The U.S. Centers for Disease Control and Prevention estimated that low dose radiation exposures to the fetus increases cancer risk. This increase is from 0.3% to 1.0% for childhood cancer, and 38% to 40% for lifetime cancer risk from 38% to 40%. An incremental 2% lifetime risk of cancer of the 79 million Americans born 1950-1969 would equal 1,500,000 million additional cancer cases (about half fatal). The CDC estimates use a radiation dose to the fetus of 50 millisieverts. Unfortunately, the study of Strontium-90 in baby teeth cannot produce an exact dose. But assuming that the average American born in the 1950s and 1960s received a total dose during the fetal period, infancy, and childhood roughly equivalent to 50 millisieverts (fetal) from bomb tests, results from the tooth study suggest that the true number of cancer deaths to persons born 1950-1969 from bomb fallout constitute hundreds of thousands, perhaps millions. Many of the cancers were diagnosed recently, i.e. when tooth donors were in their 40s. It is possible that effects of radiation exposure during the fetal and infant period do not continue after a latency period. In contrast, many of the tooth donors who died of cancer did not survive past their 35th birthday, and probably developed the disease earlier in life. Many of the cancer survivors had skin cancer, especially the relatively less harmful basal cell and squamous cell types, or had non-cancerous tumors or polyps. It is possible that these relatively benign forms of tumors are not as susceptible to radiation exposure as are malignant cancers. The number of teeth from cancer survivors (77) was not large enough to produce significant results. More teeth are needed to confirm the results. The analysis did not take into account other factors that might affect results. For example, it would be important to know the number of persons with and without cancer who smoke, to understand if a disproportionate number of smokers might affect results. A search of national records is considerably more costly than a search of the state data base. However, using the NDI would likely increase the number of deaths identified, up to three times as many as those found in Missouri. Statistically significant results were obtained from this study, and thus they should be taken seriously. However, further studies will be important to test if results will remain consistent with a greater number of teeth. A likely next step will be to study cancer risk using teeth donated by females. The initial study used only males, since they typically do not change their names and are more easily located at current addresses or in state/national death indexes. Including females would raise the statistical power of the study and allow certain radiosensitive cancers to be studied (99% of breast cancer cases and 70% of thyroid cancer cases are females). While it is not as easy to identify female tooth donors as male ones, some can be found. Matching the same birth date, first name, and middle name/initial – especially uncommon names – of original St. Louis study cards and current voter registration rolls allows some current addresses to be identified. Women using maiden names can also be matched. In addition to the 77 tooth donors with cancer, 125 donors responded to the RPHP health survey that they are suffering from another chronic medical condition, and 72 others died of disorders other than cancer. Several mentioned thyroid disorders such as hypothyroidism and Graves Disease, both of which are sensitive to radiation exposure. RPHP can analyze Sr-90 in teeth from these donors. Incorporating female tooth donors, who have a much greater rate of these conditions than do males, will increase the available number of tooth samples. About three fourths of the baby teeth not used in the original Washington University study are persons born in the Greater St. Louis metropolitan area. While it is more likely to obtain significant results by using teeth from St. Louis, it is would be helpful if similar analyses for persons born in other geographic areas were conducted. The study conducted here is a case-control study, in which persons with and without a disease are compared. It was selected by RPHP (in part) because it requires relatively few resources while offering the chance to obtain meaningful results. Another type of epidemiological study that could be pursued using the 85,000 St. Louis baby teeth is a “longitudinal” or “cohort” study. This type of study involves first identifying persons at risk/not at risk for a disease, and following disease rates for these persons over time. It is considered a gold standard in epidemiology; the Framingham study begun in 1948 by the U.S. Public Health Service that has identified several factors for heart disease is perhaps the best known example of a longitudinal, or cohort, study. However, because this type of study often takes years and requires large resources, it is not as often undertaken as case control studies. The fact that 85,000 baby teeth exist, and that many tooth donors now have a health record of 50 years or more makes it possible to use these teeth for a longitudinal (cohort) study. Such an effort would involve testing individual baby teeth for Strontium-90 levels at birth, and classifying donors into “high strontium” and “low strontium” (and perhaps other) categories. Thereafter, persons could be contacted – both alive and deceased – and health histories could be taken, for the purpose of understanding if greater exposure to bomb test fallout at birth is linked with higher risk cancer and other disorders later in life. In 1996, the United Nations adopted the Comprehensive Test Ban Treaty (CTBT), which calls for the permanent abolition of all nuclear weapons tests. To date, 148 nations have ratified it, including nuclear powers Russia, France, and the United Kingdom. Even though President Bill Clinton signed the treaty, the United States Senate has failed to ratify it. The only vote on the issue was in 1999, and it only generated 48 supporters (nearly all Democrats), with 67 votes of the 100 Senators needed to ratify. However, because the number of Democrats in the Senate has increased since then from 45 to 60, and President Obama has pledged to ensure that the treaty is ratified quickly, the prospect for U.S. passage of the CTBT is at its highest level. Large-scale atmospheric tests by the U.S. and Soviet Union ended in 1963, and the last above-ground test worldwide occurred in 1980. With the end of the Cold War, all underground tests ended by 1992, with the exception of a small number of tests by India and Pakistan since then. Results of this study represent one justification for the CTBT. Understanding that many Americans were exposed to bomb fallout and subsequently suffered from cancer reinforces the knowledge that nuclear war, and even nuclear weapons tests, represents a public health hazard, which public policies should strive to remove. Strontium-90 in baby teeth of those born half a century ago represents fallout from above-ground atomic bomb tests. These tests were moved underground in 1963, (and stopped completely in 1992). Exposures were reduced drastically just several years after tests were moved to underground locations. Despite the removal of bomb fallout from the environment, studying their effects have relevance to current policies. The same mixture of radioactive fission products, including Sr-90, is produced in nuclear reactors. 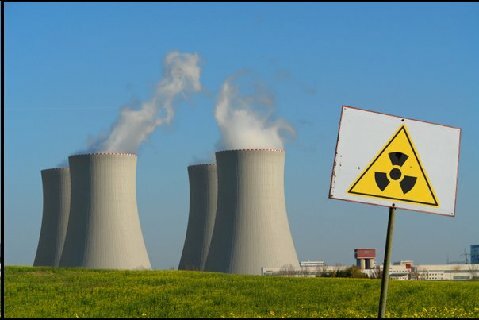 The bulk of these chemical is stored as radioactive waste, but some is released from reactors into the air and water. They enter the human body through breathing and the food chain, much as they did after bomb tests. Radiation levels in the environment (air, water, milk) are lower than they were during the bomb test era. For example, Strontium-90 in milk in the late 1950s were about 5-10 picocuries per gram of calcium. These levels were lower in the early 1950s and higher in the early 1960s (reaching a national high of 25 in the spring of 1964). Today, comparable values are about 1 picocurie per gram of calcium, probably representing reactor emissions. However, these levels have existed for decades, while Sr-90 from bomb testing only lasted during the 1950s and 1960s. There are 104 nuclear reactors in the U.S. that are aging (average age 30 years) and corroding. They will likely be in existence for many more years; each reactor is granted a 40 year license from federal regulators, and 52 of them are now allowed to operate for as many as 60 years. In addition, proposals have been made to add 32 new reactors. Thus, emissions will continue and radioactivity will enter bodies. These cell-killing and cell-damaging chemicals will continue to affect human health, especially in fetuses, infants, and children. Over 40% of Americans will be diagnosed with cancer at some point in their lives, and more will develop cancer that will never be diagnosed. The cost to American society of this dread disease is in the hundreds of billions per year, including direct medical costs and the cost of lost production. Many cases have no known cause. While radiation is but one of many potential causes of cancer, it is imperative that more studies targeting causes be done, so policies that reduce/remove these causes can be pursued, and fewer Americans will suffer from the disease in the future. Sources: Blumenthal HI, Strontium 90 in Children. In: Greater St. Louis Committee for Nuclear Information. Scientist and Citizen, September-October 1964, p. 6. (Sr-90 in Incisor Crowns). National Center for Health Statistics (Births). * = projected Sr-90, based on 50% reduction of Sr-90 in St. Louis fetal jaw bones from 1964-1969.